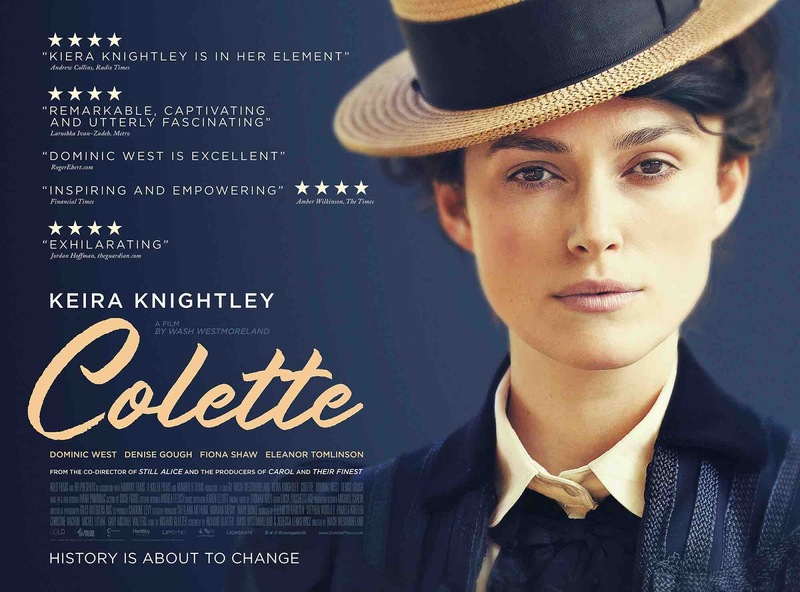 Wash Westmoreland’s Colette - focussing mainly on the first marriage of the celebrated French writer - is one of those all-too-common pieces of work that tell a fascinating story in doggedly pedestrian fashion. The performances may be fine (Keira Knightley holds the whole together very well) and the evocation of the period is mostly convincing (not too many 21st century speech tics for once), but it’s ironic that the tale of an individual who turned subversiveness into a life-long habit is presented in the most schematic, ‘biopic off the shelf’ way imaginable. Thankfully, its subject’s standing will in no way be diminished by its lack of courage. Worthy of note: Andrea Flesch’s costume design, which develops the story in a way far more interesting than anything else on the screen.